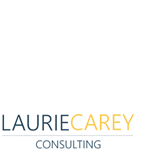 Laurie Carey Consulting offers Microsoft Professional development programs, workshops, and education consulting services that create positive outcomes for teachers and students. Where technology is used as a tool for supporting more productive and engaging learning experiences. Our methodology allows us to facilitate more effective one-on-one and one-to-many interactions that help generate positive and empowering outcomes, supporting both teachers and students in classroom engagements, as well as supporting both administrators and teachers in the workplace. Microsoft training and consulting solutions offered include but are not limited to; Office 365, CCGA, Minecraft, MSFT Classroom.